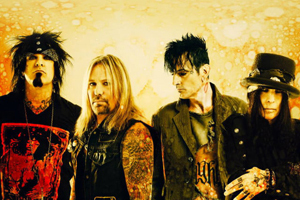 It seems like all the actors playing the roles of MOTLEY CRUE have been revealed as Netflix pieces together the adaptation of their autobiography, The Dirt- Confessions Of The World's Most Notorious Rock Band. Iwan Rheon (Game Of Thrones) will play Mick Mars, Daniel Webber (Punisher) will play Vince Neil, Douglas Booth will play Nikki Sixx, and rapper Machine Gun Kelly will play Tommy Lee. Discussions to make the film into a movie have been going since 2003, and it finally is moving forward. The film is now in pre-production and shooting is set to start next month.